Tiles from the Threads range have an elegant look which comprises of a subtle striped pattern. Neutral colours including grey, cream and beige are a trademark feature of this collection. 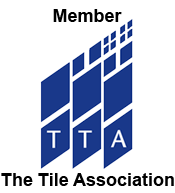 Thread Tiles are selected for modern bathroom and kitchen interiors in which they can be incorporated within a stylish backsplash. 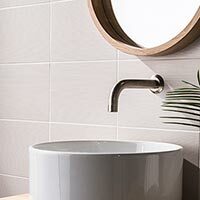 Modern Threads Tiles have an elegant appearance which is well suited to minimalistic, contemporary layouts. Threads Tiles also have a satin finish which adds to the unique character. 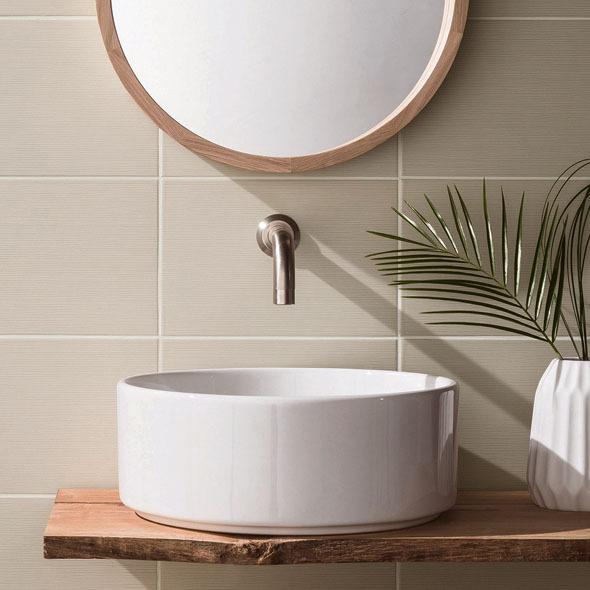 Not only have tiles from this section been acquired for shower areas and kitchen features but have also been selected for fireplace surrounds in living rooms. Threads tiles, which feature a slight lined pattern, can be arranged in a specific way on walls in order to complement your overall décor. 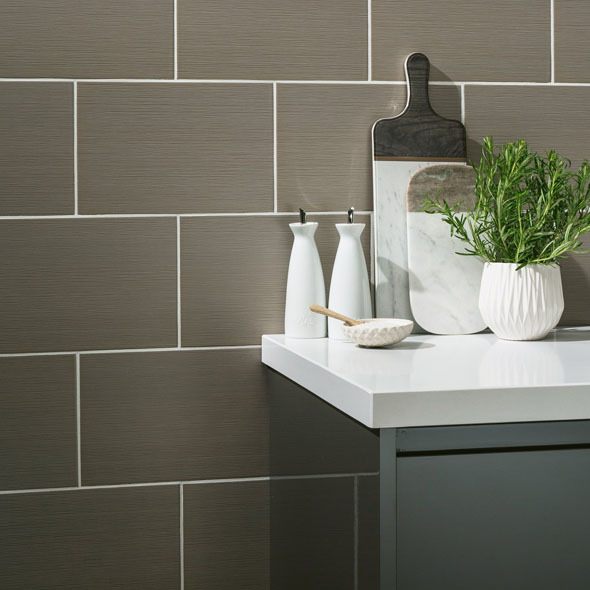 As part of a grid formation, these tiles can add class and sophistication. They can also be arranged in a running bond, brick effect style, which can produce a rustic charm.